Hope Shared Ministry offers Christ-centered renewal, hope and help for those experiencing a difficult, stressful or life changing season. We are available to anyone experiencing a challenging time in their life. Our Hope Shared Meal Ministry provides meals to our church family who are going through a difficult or transitional period. We are looking for individuals who like to prepare and/or deliver​ meals! If you are interested in this ministry, please contact . Every Sunday morning, Hope Shared Ministers are available to anyone who has a concern or a praise that they would like lifted in prayer or to receive a prayer of blessing. Please speak to the Welcome Desk host to be connected to one of the ministers. Caring Hands is a ministry that creates a variety of handmade items that are given to bless others. Items are given for different occasions such as celebration of an accomplishment, comfort for the grieving, encouragement through challenges, or just for fun. Caring Hands Ministry meets twice per month. Anyone is invited to come. There is no skill level required and instruction is always provided. Meetings are the 3rd Tuesday of the month from 2-4pm - the group works on special projects for other Creekside Ministries or other groups that are connected with Creekside. Some of their projects have included sewing, knitting, stamping, painting, paper crafting, and calligraphy. If you have any craft supplies that you would like to donate such as paper, yarn, rubber stamps, stamp ink, fabric or other craft supplies, we will gladly put them to good use. At Creekside, we believe in the power of prayer and that praying to God is both a privilege and priority. Prayer is the connection we have with God. We pray to God by the power of the Holy Spirit and through the relationship that we have with Jesus Christ. 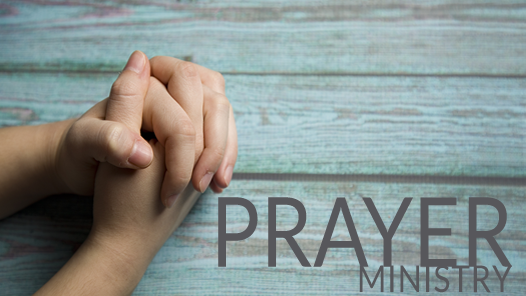 We have two opportunities to serve on our prayer team. One way is to be assigned a day to pray on our 30-day prayer calendar. Secondly, we have a team of prayer warriors who meet every Sunday at 10:30am to pray for Creekside, our staff, and the events of the church. DivorceCare is a friendly, caring group of people who will walk alongside you through one of life’s most difficult experiences. Don’t go through separation or divorce alone. DivorceCare sessions are led by people who understand what you are going through and want to help. You will learn how to heal from the deep hurt of divorce and discover hope for your future. Session 1 - What’s Happening to Me? Session 6 - What Does the Owner’s Manual Say? If you are interested in this group or have any questions, please email or call 770-888-8449. More information can be found at www.divorcecare.org. There is hope for a better tomorrow! Creekside is bringing together a supportive, caring group of people who will walk alongside you through one of life's most difficult experiences; the loss of a loved one. You are not alone. We will journey from mourning to a better tomorrow through the GriefShare process. If you are interested in this group or have any questions, please email or call 770-888-8449. More information can be found at www.griefshare.org. This stand alone session is offered every November.